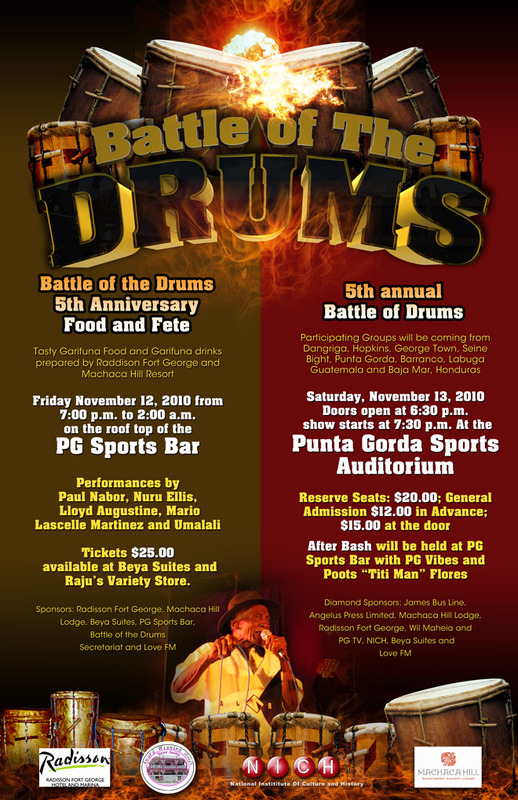 Garifuna drumming, singing and dance have been enchanting and entertaining Belizeans for many years, but it has been only four years since Battle of the Drums was conceptualized and became an official competition. 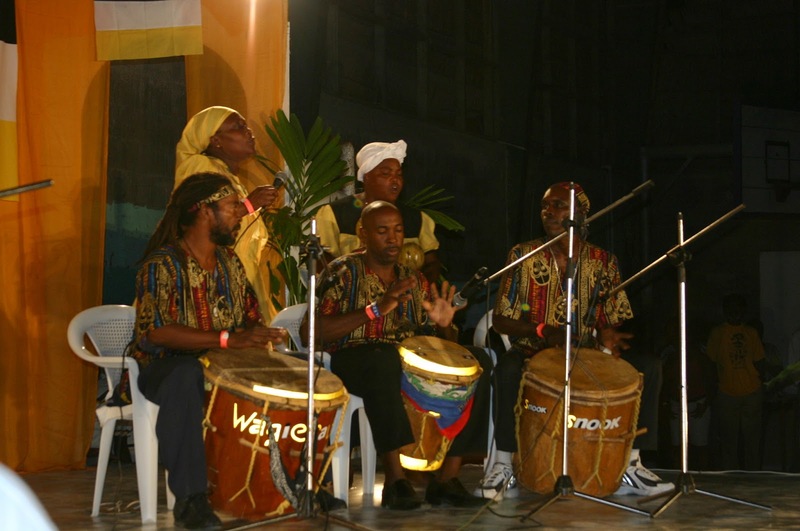 In recent years, a number of the best drummers from Southern Belize, Honduras, and Guatemala have contributed their talents and support to Garifuna culture. 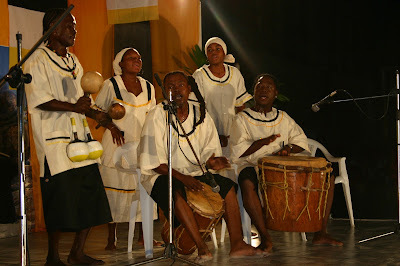 The fine art of drumming and dancing has been a part of the rich Garifuna culture since their arrival in Southern Belize. In the Garifuna culture, drumming and dancing have been passed down from generation to generation. The tradition can be traced back to the arrival of the ancestors from West Africa to islands off the coast of Venezuela where they were shipwrecked in 1635. The Garifunas were forced to leave their island by the British, and were deported to Nicaragua, Belize, Honduras and Guatemala. Today the largest concentrations of Garifunas are in Honduras. An intricate blend of African and traditional drumming will be demonstrated in Punta Gorda Town, Belize on Nov 13, 2010 at 7:00 p.m. , a week before the National Garifuna Day, celebrated in Belize on November 19th each year. 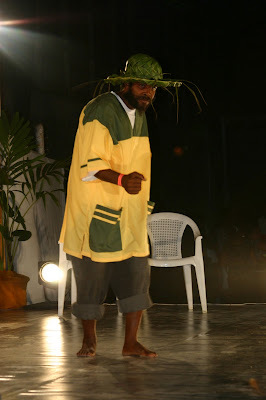 If you want to experience Garifuna culture, food and music, PG is the place to be!! The show offers very intense drumming and dancing you don’t want to miss if you are in Belize. If this is your first time seeing this drumming competition, be prepared to be swept away by the incredible and powerful rhythm of handmade drums and dancing displayed by the talented Garifuna people. 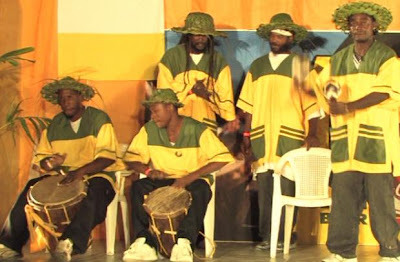 The competition will be judged in 5 different categories of Garifuna drumming and prizes will be given to the winners. The prizes are as follows; 1st, 2nd and 3rd; Best Chumba Performance, Best Wanaragua Performance and Best Uniformed Group. Founded in 2006 by Darius Avila, a businessman of Punta Gorda Town, and spearheaded by The Battle of the Drums Secretariat, which is a community-based organization comprised of the following leaders from Punta Gorda Town (PG). 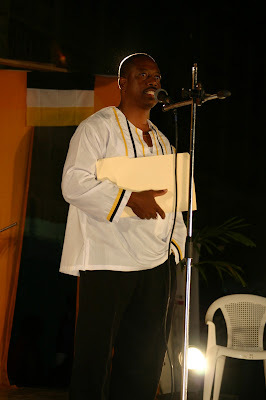 The Re-enactment Ceremony in PG; this ceremony constitutes part of the official ceremony of Garifuna Settlement Day and it depicts the arrival of the Garinagu to the shores of Belize. 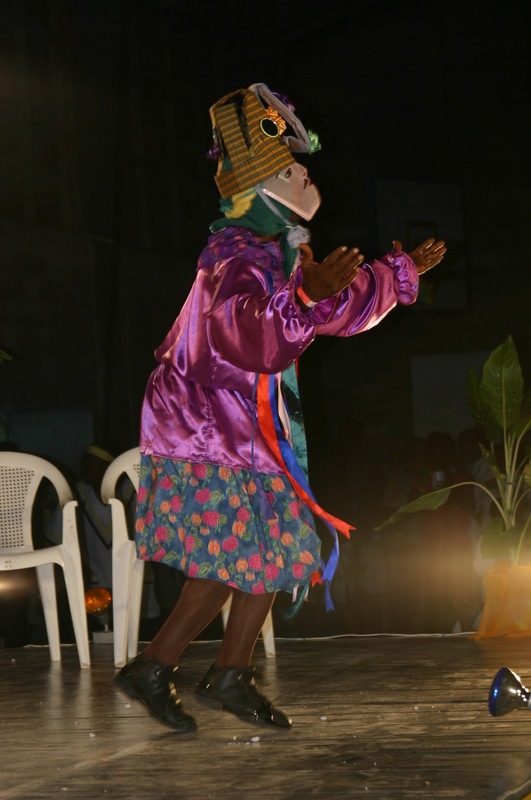 The Libana Chango Group; a dance group comprised of youths between the ages of nine and fourteen. The group, under the leadership of Nurse Hazel Cayetano keeps the culture alive through dance and songs. The Summer Camp; held annually to teach children the significance of Garifuna rituals, language, and history. If you would like to donate or contribute, here’s what you can do! Sponsors will be recognized in all advertisements and marketing paraphernalia, as well as during the Battle of the Drums competition and in all events and activities that the proceeds from the Battle of the Drums sponsor. Additionally, Silver sponsors and above will receive a financial report and photographs portraying activities and events sponsored. Checks can be written in the name of Battle of the Drums. In-kind contributions are also welcome. Note that the Battle of the Drums initiative has the full support of the National Garifuna Council. Very informative edition Linda. Thanks for the share as always. A Happy 19Th November 2010 Celebration to one and all Garinagu and other Belizean/Ethnicity included. Thanks for providing this information about the battle of the drums, the garinagu, drumming, and the Garifuna Settlement Day celebrations. Congratulations to Darius Avila on the Battle of the Drums and the contribution of the Secretariat to the preservation of the Garifuna culture.